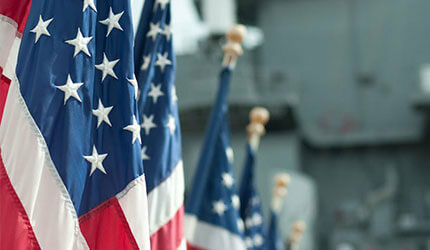 Visit the most popular sites like the USS Arizona Memorial and the Battleship Missouri Memorial. What Island are you On? 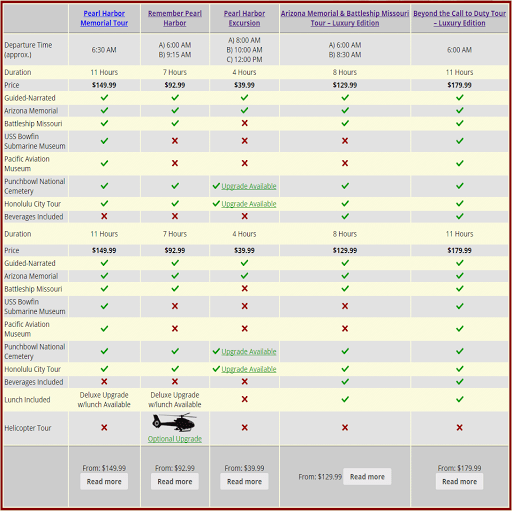 Located on the Island of Oahu, we offer tours that include airfair if traveling from a neighbour island. 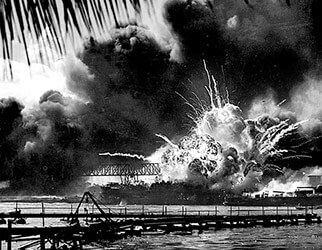 Pearl Harbor was the site of an event that changed not only the United States but the world. December 7th, 1941 marks the fateful day the Japanese launched a surprise attack on the unsuspecting base on the island of Oahu. The shocking offensive left 2,403 dead and over 1,000 wounded. The Japanese onslaught also forced America out of its stance of isolation and into war production, eventually shifting the tide of history in favor of the United States and her allies. At Pearl Harbor today, visitors have the opportunity to view the remains of the USS Arizona, one of the ships sunk during the attack. 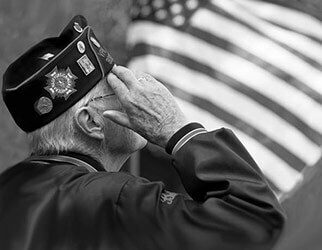 Feel the weight of history as you read the names of the men lost that day and understand that you are standing over their final resting site. Be sure to visit the Battleship Missouri, the ship on which the Japanese signed the Instrument of Surrender that ended World War II. 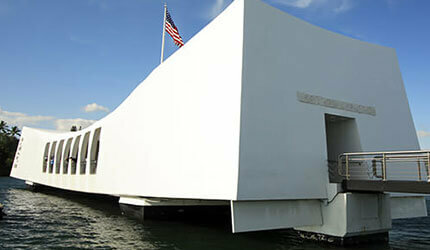 Pearl Harbor Tours are available daily and include round-trip transportation. 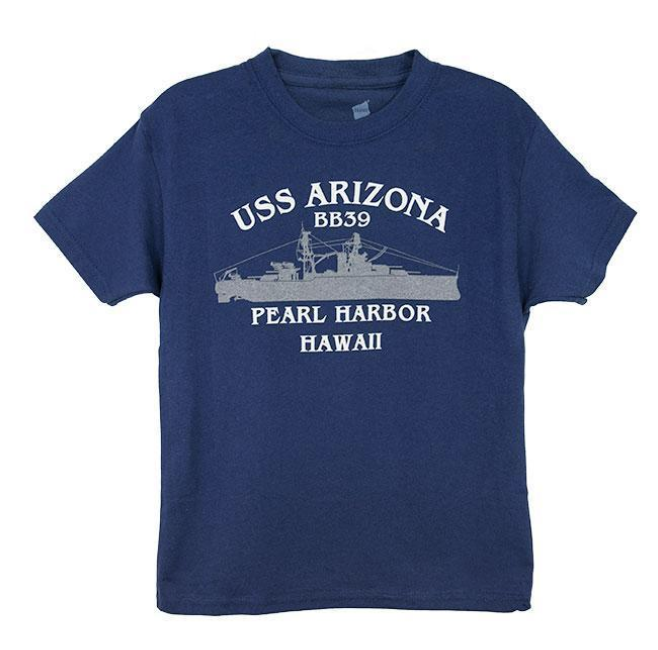 Pearl Harbor is located on the island of Oahu, “The Gathering Place” in the Hawaiian language. Oahu is home to the majority of the 1.42 million inhabitants who reside on the major islands of Hawaii, and offers a unique blend of island beauty and city amenities. Inter Island Tours are available daily and include round-trip transportation. December 7th, 2016 marked the 75th anniversary since the Japanese Attack. To commemorate the event and honor those who fought for our freedom, we've built an interactive historic timeline detailing some major events that followed after the United State's entrance into WWII. 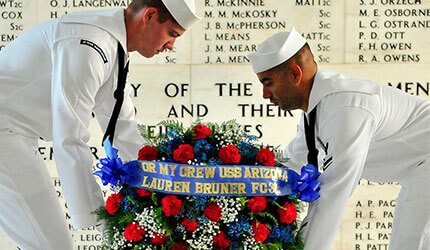 View Pearl Harbor pictures and videos to learn about the attack and the Memorials. Make sure everyone remembers Pearl Harbor by following and sharing on social media. 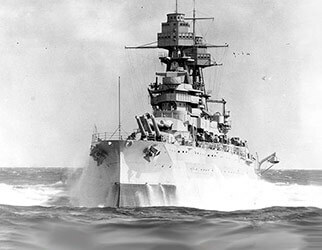 The USS Arizona Memorial was constructed above the battleship USS Arizona where 1,177 service members lost their lives. 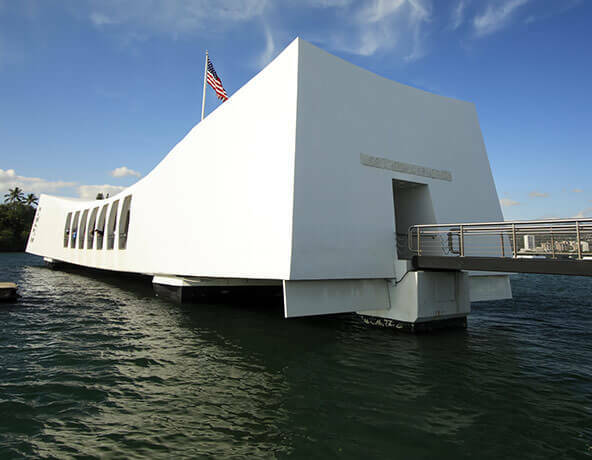 The Memorial was built to honor all of the 2390 Americans who died during the Pearl Harbor attack on December 7, 1941.